Finals are almost upon us ahhhhhhhhh! Which means it's time to get our acts together, get ourselves out of the beautiful sunshine and into the library, and get our little noses into the books. Hopefully you have been keeping up with your school work all along and getting academic help if you need it. If you're feeling behind or overwhelmed, it's time to kick it in to high gear and get ready to crush your finals! While I won't claim that the way I study is the only way to study, I will say that there are some methods that are more effective than others. Check out my extensive college study tips post to get yourself on track! I never was really a fan of study groups until I became part of the right ones. It pays off to be friendly with your classmates, observe who participates in class, and join forces to study. Start suggesting to others that forming a study group is a good idea and get together (ideally 3-5 people) to review material. I find it incredibly helpful to talk through concepts with others to make sure I understand it myself! It is also a good idea to get clarification from your professor if necessary. Begin rounding up questions you have and look over my office hours etiquette guide before meeting with your professor. Prepping for finals means a lot of hard work. For me, there is no better place than the library to do this. Get yourself in the zone, and remember to break up your studying with small rewards, like watching youtube, or chatting with friends. I have a complete guide of finals week library essentials you may also want to take a look at. Plus see: The One Tool You Need To Increase Productivity and 5 Ways To Increase Your Focus. 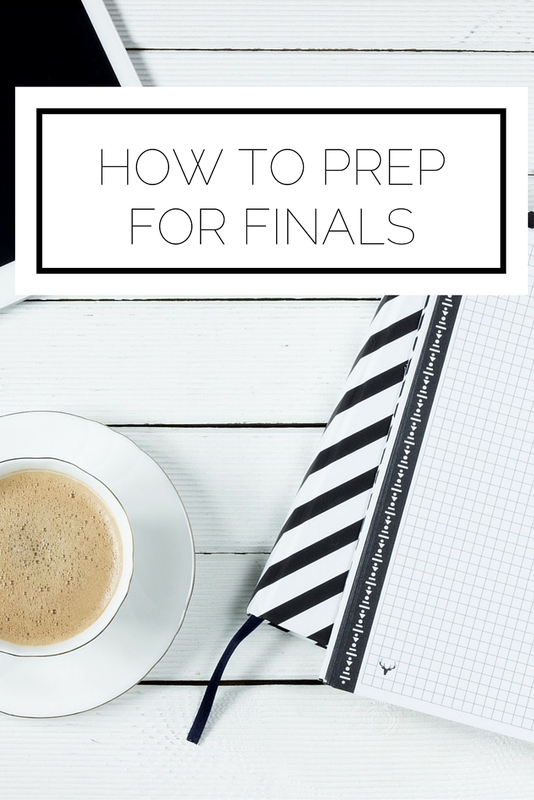 What advice do you have for prepping for finals? See all of my college posts here.